Dr. Kristal A. Izydorczyk, DMD. Dr. Izydorczyk and her highly-trained staff stand ready to assist you with dental emergencies, cosmetic procedures, check-ups, x-rays, and cleanings. 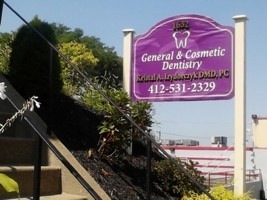 Dental offices include locations in both Beechview and South Park. DMD, 2005, University of Pittsburgh School of Dental Medicine. Bachelor of Science, Pre-med, Penn State University, 2002. Practicing General and Preventive Dentistry in Beechview and South Park since 2005. 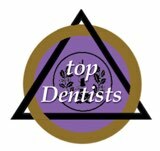 Named a “Top Dentist” in Pittsburgh in each year since 2007, including a 2014 National Academy of Dental Professionals “Top 10 Dentist in Pennsylvania” and a 2014 Pittsburgh Magazine Top Dentist. 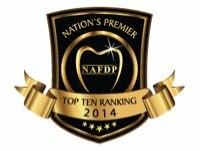 General Dentistry is one of nine specialties recognized by the American Dental Association. 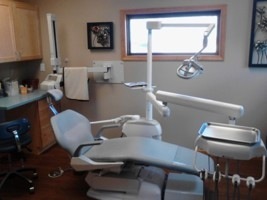 That’s how important the ADA considers regular professional dental examinations, x-rays, and cleaning to prevent as well as to prompt, diagnose, and treat dental disease. Dr. Kristal Izydorczyk has been improving the appearance of patients’ teeth, gums, and bite through Cosmetic Dentistry for more than seven years. 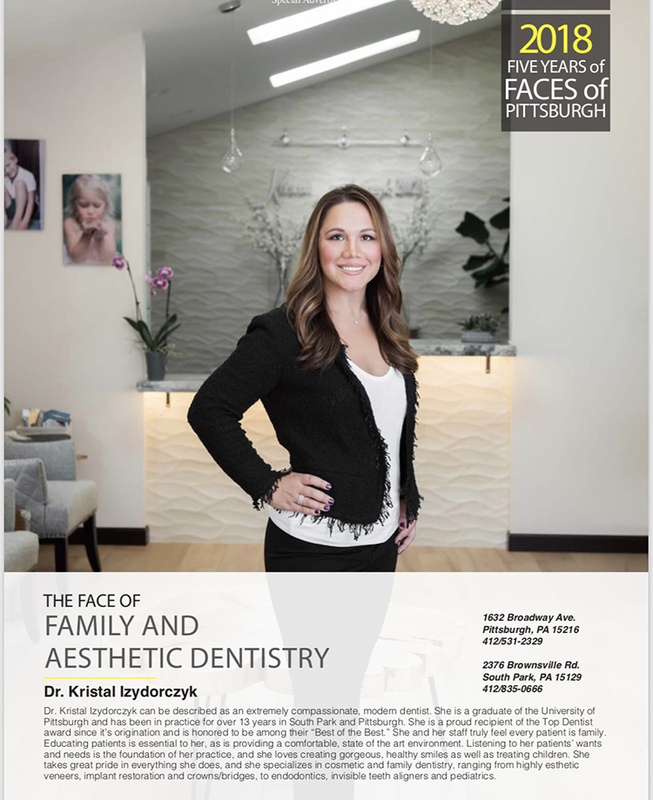 Selected by her peers as a Pittsburgh “Top Dentist” each year since 2007, Dr. Izydorczyk makes Cosmetic Dentistry a focus of her dental practice. Call now. Please ask whether we accept your insurance. Dr. Izydorczyk and her highly-skilled staff look forward to helping you improve your oral health and get the smile you've been wanting.